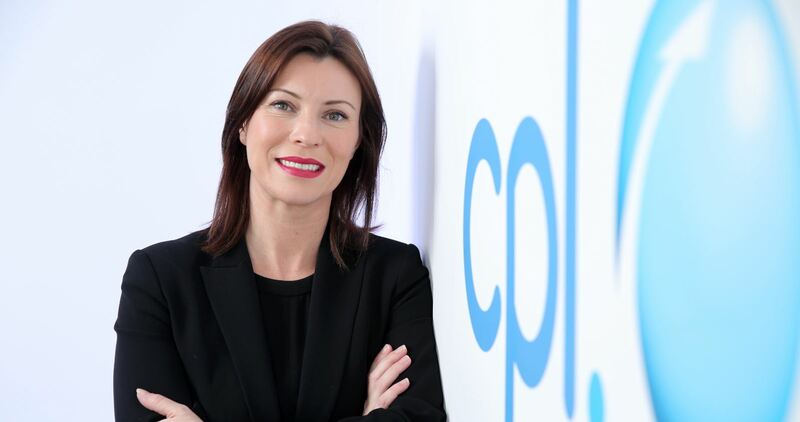 Cpl Solutions International, which is headed up in Northern Ireland by 1999 LLB graduate Ms Áine Brolly, has announced that it is creating 15 new jobs including a new graduate programme in its Belfast and Derry offices. Formerly Cpl NI, Cpl Solutions International is the only indigenous recruitment company listed on both the London and Dublin stock exchanges. With 37 offices in 10 countries, Cpl achieved strong growth in the Northern Ireland market in 2016 with a 25% increase in turnover. The company is launching a new graduate programme creating 10 new Associate Consultant roles, with an additional 5 senior positions being developed within its Northern Ireland operations. According to regional Chief Executive Ms Áine Brolly the jobs are a result of the businesses’ growth and planned expansion in 2017: “We’ve further developed our business in Northern Ireland over the last 12 months and have launched a targeted recruitment drive which reflects our ambition, growth and commitment to the local marketplace but is also an indication of the considerable opportunities that we believe exist within the local economy. Ms Brolly worked previously with Invest NI for over three years as its senior Vice President Business Development, in San Francisco, where she led a team responsible for driving Foreign Direct Investment and International trade and export. She and her team assisted over 10 US based companies to establish successful operations and R&D facilities in Northern Ireland, including Puppet Labs, Wandisco and WhiteHat Security. Prior to Invest NI, Ms Brolly was a Director in Ireland for London-based Penna plc, a global HR services company, where she led their executive recruitment practice and recruited over 100 C-Level executives for global enterprises. In addition to her law degree from Queen’s she holds a Masters in Opera Performance from the Royal Welsh College of Music and Drama. She is also an accredited executive coach. Ms Brolly was appointed to role of Cpl regional Chief Executive in 2015 to expand the Northern Ireland operations of the global recruitment firm which counts Google, Pfizer and Facebook among its clients. In 2016 the company opened new Belfast offices which, Ms Brolly says, were needed to support its growing client base and its strategy of rapid growth including the potential for the acquisition of locally based recruitment companies. “Our team has doubled in the past 12 months,” she said, “and as our client list continues to expand we have restructured and reshaped our Northern Ireland business to support our development blending local talent within our team with people who have expertise and deep insights into the local skills sectors. Cpl group employs 700 people in recruitment, 2,000 in managed services and 10,000 on client sites across its global business and has recently incorporated in the USA with plans to establish an office in Boston in the coming months. Further information on the roles is available here. For a confidential discussion call Darrach Teague (028 9072 5622) or email your CV to darrach.teague@cpljobs.com.